Combining industrial and modern design influences results in this handsome contemporary style sofa table with plenty of personality. The open design of the console table allows plenty of light through to help you space look and feel bigger while the pair of open shelves give you versatility in how you display or store your items. 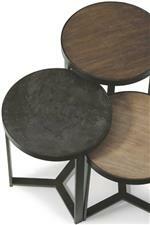 A bluestone tabletop results in a unique look perfect for completing your living room. 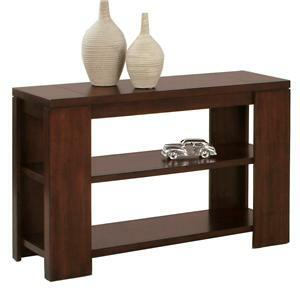 The Carmen Contemporary Sofa Table with 2 Open Shelves by Flexsteel Wynwood Collection at Northeast Factory Direct in the Cleveland, Eastlake, Westlake, Mentor, Medina, Macedonia, Ohio area. Product availability may vary. Contact us for the most current availability on this product. Storage Two open shelves provide flexible storage.